For the average Carnegie Mellon student, balancing schoolwork and a social life is quite a feat. If you add in being a key member of the varsity cross country and track and field teams, intramural sports, and several clubs, you end up with a very organized and dedicated student. Junior Laura McKee, a chemical and biomedical engineering double major, has mastered this routine with ease and still has time for leisurely activities, such as late-night trips to Fuel & Fuddle. McKee, a Maryland native, felt drawn to Carnegie Mellon because of the competitive engineering program, the “home feel of a small suburb” that Pittsburgh emulates, and plenty of extracurricular activities she could become involved in. 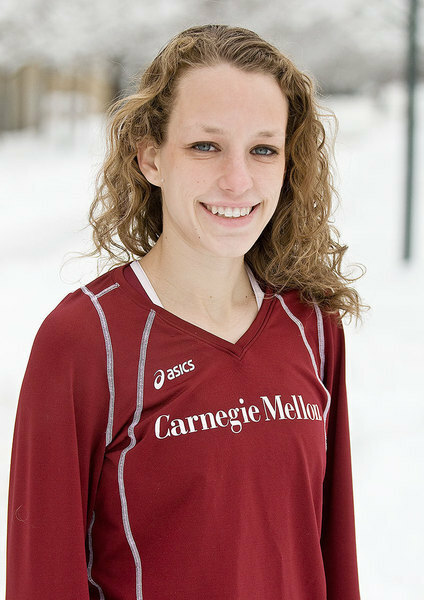 The one factor which made Carnegie Mellon her top choice was the chance to further her passion for running through the cross country and track teams. McKee’s interest in running started in high school and has propelled her to become one of Carnegie Mellon’s finest 800-meter and one-mile runners. This season, she hopes to shatter her personal records and help the team place well at its next University Athletic Association meet in March. However as impressive as McKee’s athletic records are, they are only one part of her life. Academically, McKee excels equally. When she is not helping local farmers and soup kitchens create a “sustainable network” as a member of the CIT Dean’s Leadership Fellows Program, she dedicates her time to the Student Athlete Advisory Committee (SAAC), Engineers Without Borders, the Society of Women Engineers, and several other engineering-related clubs. She states that her favorite part of school is the people. “Everyone here is brilliant and driven in whatever particular field they are studying. It’s inspiring to be around people who are so passionate about their lives,” she said. Upon graduation, McKee hopes to find a career in industry. With a little over a year left of school, McKee’s prospects for the future look very bright.